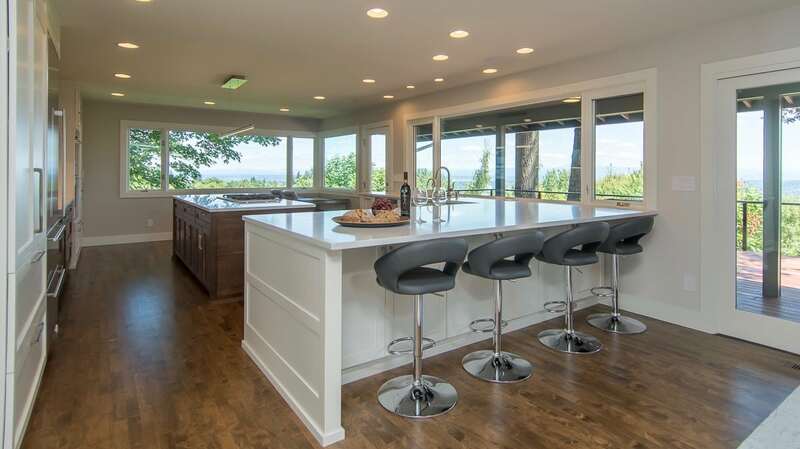 This spacious, transitional kitchen in the Southwest hills of Portland blends classic style with modern function. 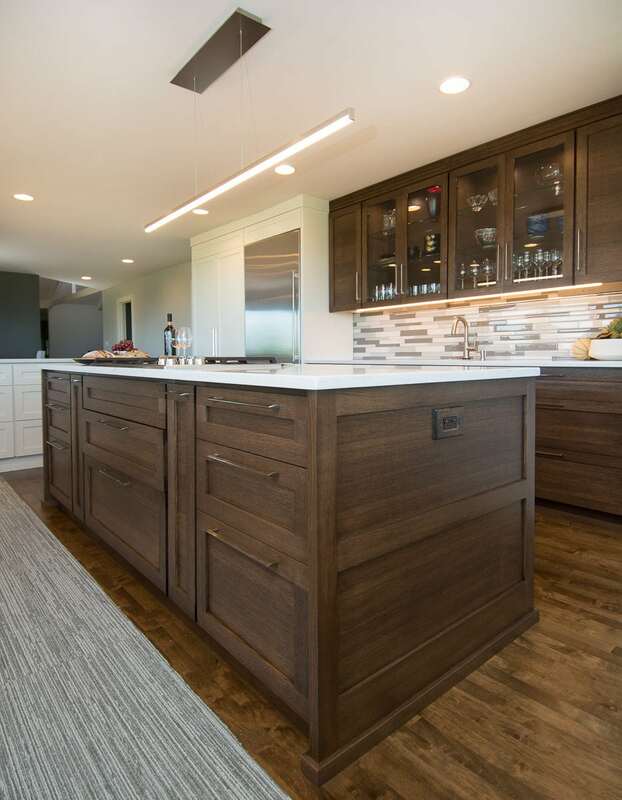 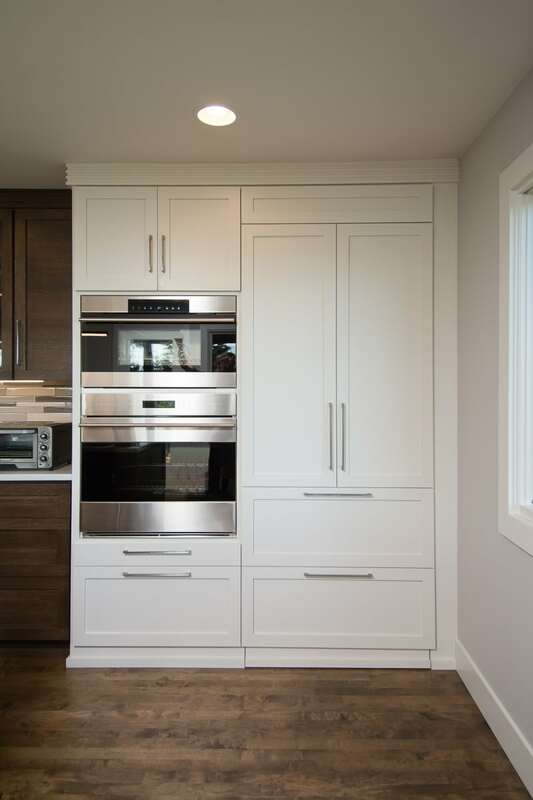 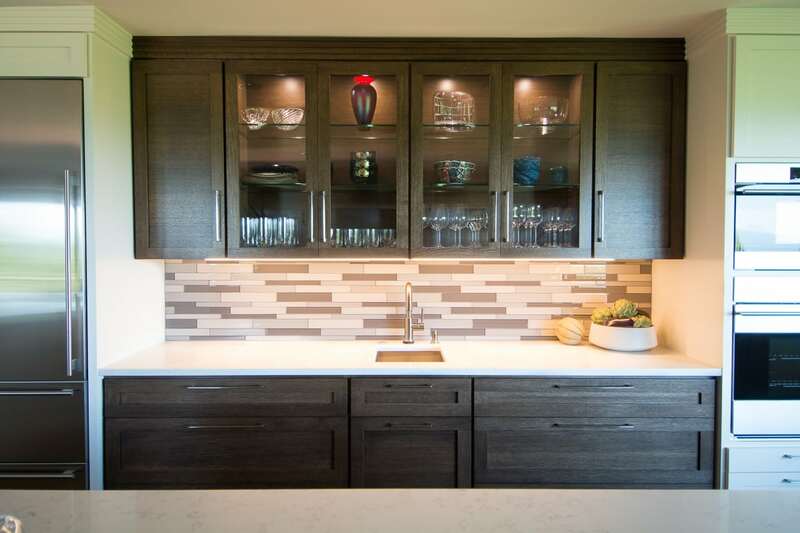 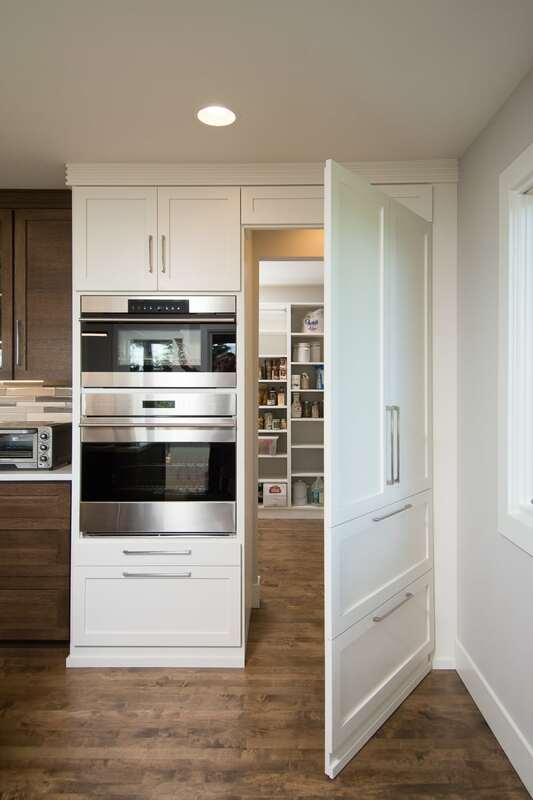 It features Shaker style cabinetry in soft white with a contrasting island, and secondary prep area with display cabinets, in medium stained rift cut oak run on a horizontal grain. 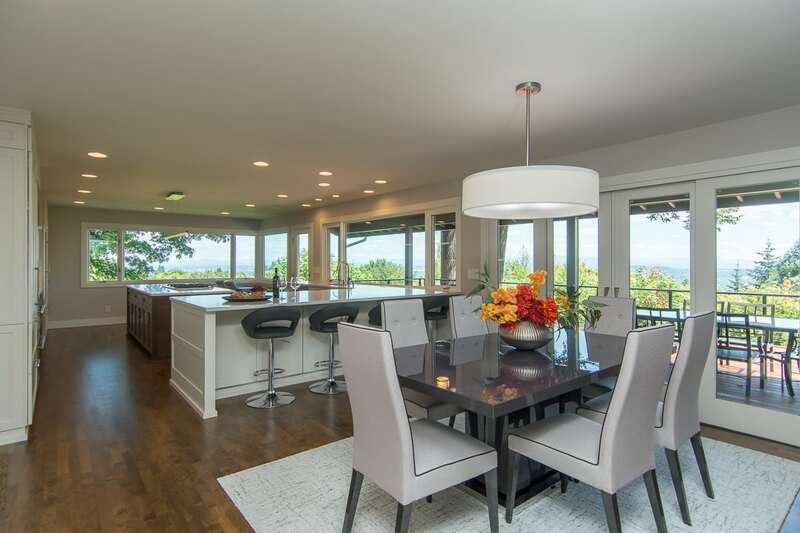 We eliminated upper cabinets on one side and ran the countertops right into the windowsill for a completely unobstructed, panoramic view. 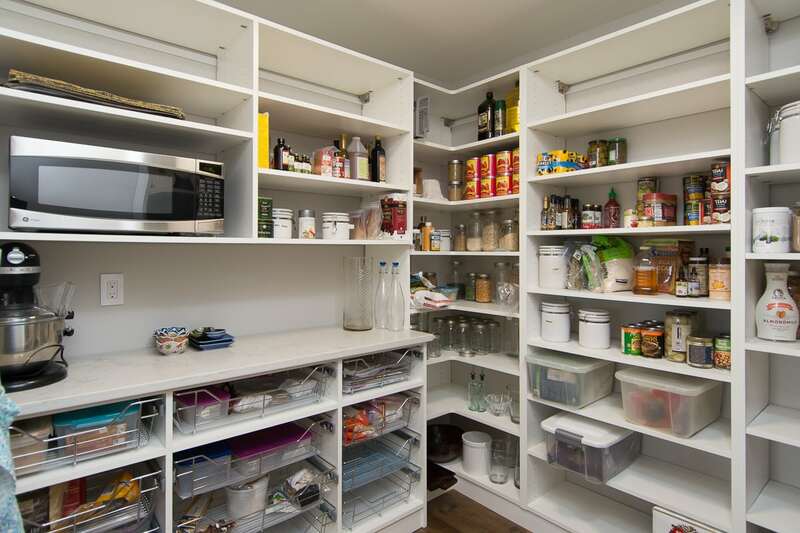 A hidden pantry is a fun way to have loads of storage out of site. 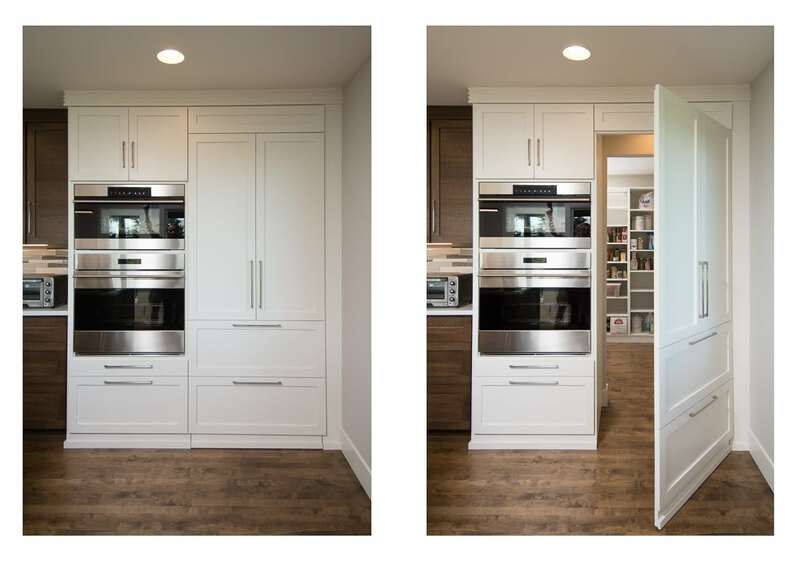 Specialized pull-outs make the most of every cabinet, while Sub-Zero Wolf appliances throughout offer top of the line luxury.